For those along the paths of tropical storms and deadly derechos who tuned into The Weather Channel last night to be distracted by reality programming, only to be rudely interrupted by actual reporting on the weather, don’t worry. Despite its recent pact with DirecTV to cut that reality programming in half, The Weather Channel remains committed to giving viewers the shows that America turns to whenever it wants something to take its mind off a looming tornado—shows like the upcoming Fat Guys In The Woods, which is as blessedly tornado-free as it sounds. 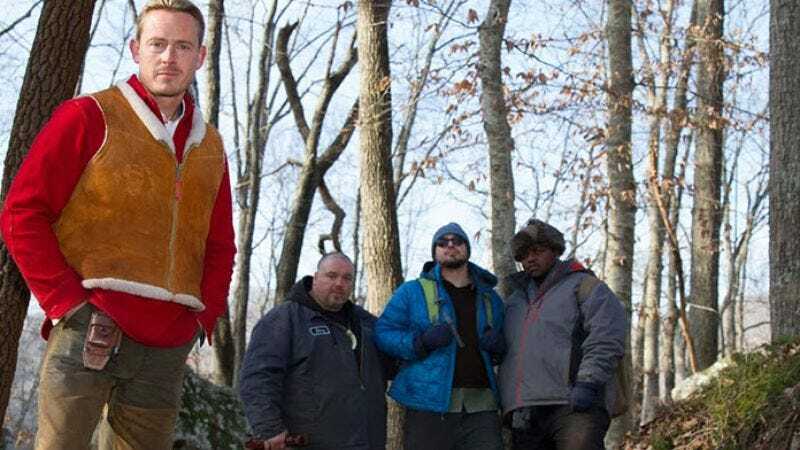 Fat Guys In The Woods premiering Aug. 10 finds three self-proclaimed “fat guys” loosed into the Appalachian wilderness, where they will learn how to survive, despite being fat, with the help of non-fat guy Creek Stewart. According to the L.A. Times, the show was filmed over the course of “the extremely cold and snowy recent winter”—a scenario that we’d say edges dangerously close to being weather-related. But hopefully Fat Guys In The Woods will be less about that, and more about fat guys falling down in the woods. We’ve got more than enough weather without The Weather Channel getting involved.